For more than 30 years Great Place to Work has studied the world’s most notable workplace cultures, and what makes them great. Wavelength is proud to have been included in the list for the 7th time. 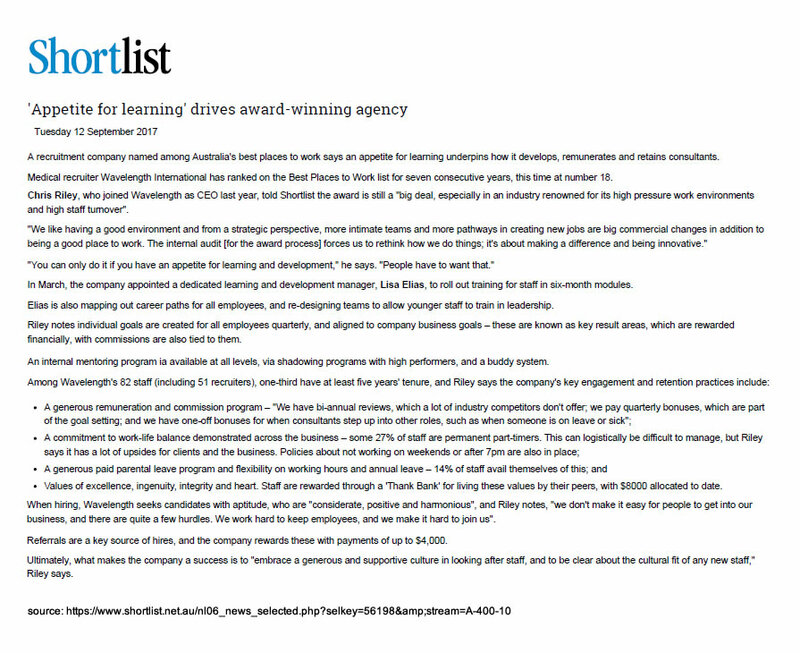 Wavelength International, a medical recruitment company named among Australia's best places to work says an appetite for learning underpins how it develops, remunerates and retains consultants. 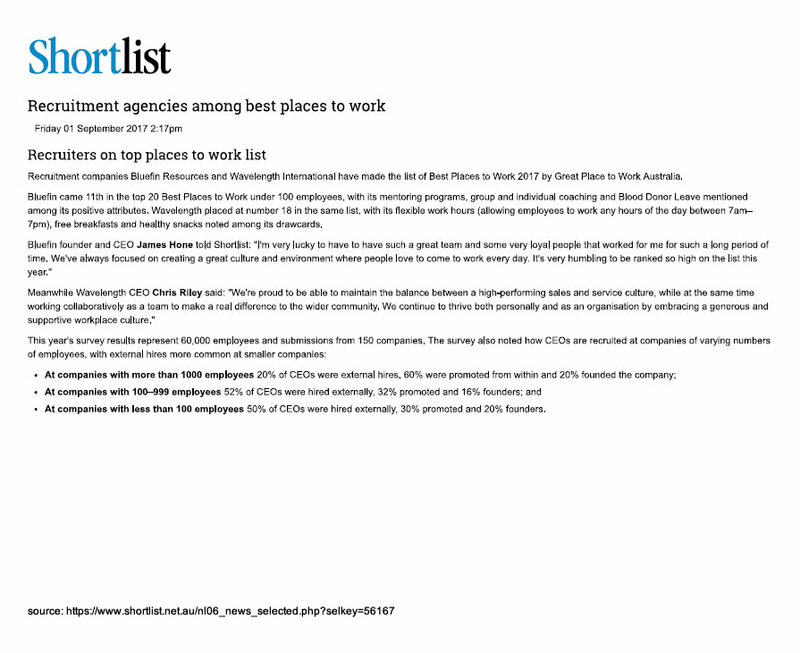 Wavelength International one of two recruitment companies to make the list of Australia's Best Places to work 2017.